a revolutionary new way to preserve floral memento for all eternity! NanoFreeze is a smart, scientifically-proven and sustainable way to preserve your wedding bouquet, floral keepsake and memorial tokens forever, using breakthrough flower preservation technology. Introducing a turn of- the-century solution, NanoFreeze technology freezes and halts enzymatic reactions within the flower cells on a nano-molecular level. In doing so, it permanently alters the physical and chemical properties of each flower to present a truly timeless wedding hand bouquet that never loses its structure, appearance and bloom. As a historical symbol of love and friendship, flowers have played an important cultural, aesthetic and celebratory role in weddings since the dawn of time. With NanoFreeze Technology, brides around the world can cherish their most sentimental moments walking down the aisle with an intimate floral reminder that’s simply irreplaceable. Finally—a wedding keepsake that captures the true essence of marriage by standing the test of time! In ancient Rome, flower were viewed as a symbol of fertility,given to brides as a gesture of hope and good luck. In contemporary Christian weddings, many brides practice the ritual of creating a shadow box to memorialize their special moments at the altar. Besides bouquets, flowers are also used generously in wedding décor to this day—most notably as centerpieces on tables, decorations at the altar, and petals strewn down the aisle. 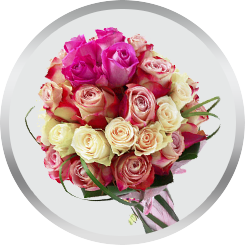 Roses are one of the most common flowers found in weddings around the world, across different cultures. Unfortunately, their lifespan only lasts between 5 to 7 days. Until now, there has been no tried-and-true way of sustaining plant life after it is cut off from its primary source of nutrition. As living organisms, flowers die shortly after they’re clipped which means they’re only days or weeks from wilting or dying, depending on their species and type. Conventional flower preservation practices include water fortification, using silica gel, hanging or air-drying. Extends plant life temporarily, but not for long. Lilies, for instance, may last up to 2 weeks without losing their luster when placed in water. However, they too wilt away and die within a limited window of time. When placed in a water-filled container or vase, flowers continue to absorb nutrients through water, but the process slows down considerably. This is due to obstructions in the stem as a result of being detached from its source. Extremely fragile and prone to damage. Dehydration compromises the tactile and aesthetic beauty of a fresh bouquet. Faded color within months or few years. Mild to significant alteration of floral appearance, structural integrity and longevity overtime. In order to preserve flowers permanently without compromising on their appearance and quality, NanoFreeze Technology directly tackles the root causes of decay. When preserving their wedding bouquets, brides expect to see flowers remain in their existing state for all eternity; not wither away over the course of time, as they do with air-drying and water fortification. Bacteria, yeast and mold are the undisputed predators of the plant world. After a flower is cut off from its root, microorganisms break down the cell walls and work consistently to destroy the flower’s natural composition. Chemical responses within the cell walls trigger or hasten the onset of natural processes like death and decomposition. This is a biological phenomenon that can certainly be delayed (but not stopped) with conventional preservation practices like adding bleach to water. Floral bacteria and mold rely on medium (the food or fluid) found within the stem in order to stay alive andcause further obstructions. NanoFreeze is an innovative, first-of-its-kind technology that strategically targets the three primary drivers of decay to sustain plant life longer than what was initially deemed possible. By identifying the temperature and pH level needed by a flower to decrease or stop enzyme activity, NanoFreeze Technology is able to create and sustain an ideal environment for prolonged floral life. Halting enzymatic reactions at freezing temperatures below 0 degrees Celsius, or warmer temperatures above 60 degrees Celsius. Halting enzymatic reactions at below the pH level of 4, or higher than 10. Halting enzymatic reactions by changing flower properties at optimum pH and temperature for enzyme activity. Change the medium (food and fluid) properties within the flower. Given this information, a flower’s cells properties can be manipulated at nano scale level to promote a period of statis that renders enzyme activity inactive. NanoFreeze Technology permanently alters the chemical properties of the flower and preserve this state of equilibrium forever. A truly timeless floral display that will never fade, wilt, mold or crumble! 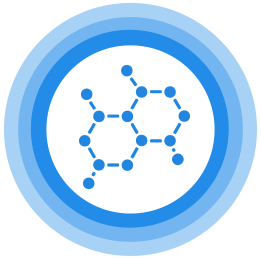 NanoFreeze Technology offers a state-of-the-art solution to an age-old preservation problem that has troubled researchers for years until now. With a lot of trial and error, our ambitious team of chemists and laboratory engineers has finally crafted a comprehensive step-by-step process to make permanent flower preservation a tried and true reality! The first step to immortalizing a gorgeous floral bouquet is to sift through a large variety of flowers and select the most exquisite bunch—meaning those that have visibly reached their peak bloom. Once the flowers meet our criteria, they then undergo an elaborate hydration process to control openings for ideal preservation and results. Since these flowers have been stripped of their natural eco system, we use our exclusively designed technology to immediately eliminate the presence of microorganisms. NanoFreeze technology gets to the root of the problem by targeting common plant predators like mold, bacteria and yeast to treat each flower while it is still fresh and fragrant. Despite removing microorganisms from stem cells, flowers still experience decomposition due to the presence of fluid, which continues to breed yeast, bacteria and mold. We keep these microorganisms from re-growing in the first place by going one step ahead and treating all the fluid from each flower. Next, we address the third most important contributing factor to floral decay—enzymatic reactions. Using our breakthrough technology,we control each flower's temperature and pH level to enter into a state of statis and successfully stop decomposition. 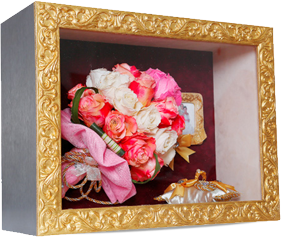 In the last stage of the preservation process, treated flowers are placed in a controlled environment within a specialty airtight frame. The framing glass on the display case is created from a unique blend of polymers that helps to protect the bouquet from the damaging effects of light and temperature. In order to cement the progress, NanoFreeze Technology removes all biological barriers to plant longevity. This entails an expertly designed freezing treatment that permanently alters the chemical properties of each flower, so there is no longer any possible threat of decay, decomposition or aging. One of the main reasons why conventional flower preservation practices do not work for long is that they are unable to inhibit the reproduction of microorganisms found within the flower stem. NanoFreeze technology inhibits this inevitable biological process by treating each flower at a cellular level. This precautionary practice not only removes plant predators, but also ensures that they do not return at any point in future. One of the main reasons why conventional flower preservation practices do not work for long is that they are unable to inhibit the reproduction of microorganisms found within the flower stem.NanoFreeze technology inhibits this inevitable biological process by treating each flower at a cellular level. This precautionary practice not only removes plant predators, but also ensures that they do not return at any point in future. Flower preservation is not a new practice by any means, but the limitations of current techniques makes it relatively unpopular among the masses. Now, with the unprecedented achievements of NanoFreeze Technology, however, the world of bridal bouquets and wedding memento is about to change. A bouquet that remains as fresh as it was the day you got married. Our specialized technology ensures microorganism prevention well beyond treatment. In other words, you can rely on permanent preservation—thanks to our triple-threat solution that overcomes the 3 most fundamental drivers of flower decay. Flowers that remain in full bloom—like your love—for all eternity. When your bridal bouquet begins to wither away and lose its scent, it may compel you to get rid of something that you consider truly sacred. NanoFreeze Technology applies tried-and-tested techniques to ensure that the treated flowers do not change in color, texture or appearance. Always and forever, as a true relationship should be. Wedding keepsakes are a reminder of your lifelong commitment to the love of your life. This is why we have developed state-of-the-art technology to preserve your most intimate memory forever—in keeping with the spirit of true unconditional love. There are few moments in life as sacred and meaningful as the time you get married. Despite having a photo album full of fond memories, however, there are some things in life that a picture simply can’t do justice. NanoFreeze Technology may not be a time-machine, but it is a memory literally frozen in time that will make you cherish your relationship in ways you didn’t think possible. As a cultural and historical symbol of love, romance and friendship, flowers will always play a crucial role in weddings around the world. Here’s an opportunity to add something magical to your fairytale wedding, with a wedding keepsake that celebrates all the different shades of love. A beautiful evergreen symbol that captures your timeless relationship. An expression of loyalty and promise between you and your partner—reminding you to stay true to your vows, no matter what the odds.A beautiful evergreen symbol that captures your timeless relationship. A unique story that sets your wedding apart.A beautiful evergreen symbol that captures your timeless relationship. Can be passed down from generation to generation. A sweet, sentimental memory, as priceless as your love. Untouched by age and biological breakdown: a death-defying miracle. We are a team of chemists and researchers who have invested years of our lives into developing this breakthrough technology, currently available in the Flower Secret showroom and lab in Saudi Arabia. We’re incredibly proud to be the first ones to hopefully launch NanoFreeze very soon in the market, and we’re excited to add a touch of magic to weddings across the globe. Help us raise awareness for NanoFreeze Technology and make your weddingmemories bloom with a bouquet that never dies!